Today I'm talking to you about bounce rate. what it is? why you need to know about it and what you can do to improve it. this Article is going to be beneficial for anybody involved in the website, including web developers, SEO(Search Engine Optimization), PPC (Pay Per Click), Email marketing, copywriting, and conversion rate optimization. the second user visits a page of your site. they have a look at another page. that means they've stuck. they've not bounced from your site. so here we have two users one bounced, once stuck. this means you've got a 50% bounce rate. Well, actually over 50% it's probably a bit high. but anything under 50% is okay. under 40% you're doing well. but different pages have different bounce rates. so a blog page, people won't find it via social media. they'll click a Twitter link, come to the page they won't be interested in any of your other blog page pages necessarily at that moment in time. they only want to read that post so they're likely to have a much higher bounce rate than another page of normal content. now one example of this is a product page on an e-commerce site. if somebody does an organic search for it, clicks the result, they see a product well it might not be the right product they might want to compare to other products. what they'll do is they'll click so you get a low bounce rate on product pages you need kind of an e-commerce site. it's good to compare it to the average time on site. it's this user here who bounces has spent five minutes on the site before leaving you're doing quite well. if the user has come to your page and after only two seconds they've gone on to another page you know that actually even though you've got a low bounce rate with the average time on the page being very low it may not be the right page. you could adjust your PPC campaign you can promote a different page organically. you could pick a different link for your email marketing campaign once you know what your bounce rate is and what the average time on site is on the page. and which other pages they should go to you can also use a breadcrumb that easily shows the category in which that product was so that somebody can just go up a level in the site and see all the options available. when you've got a blog post if you want other people to read other pages of your site, it's a good idea to add related blog post links, categories, maybe a link to the writers Twitter profile those sort of things mean that actually, your user will interact a bit more with your site. obviously, if they click a Twitter link that will take them off the site and your bounce rate would still be high but actually, they're going somewhere beneficial so sometimes it's good. So hopefully that explains to you what bounce rate is if you need any more information I've written a blog post on it as well. 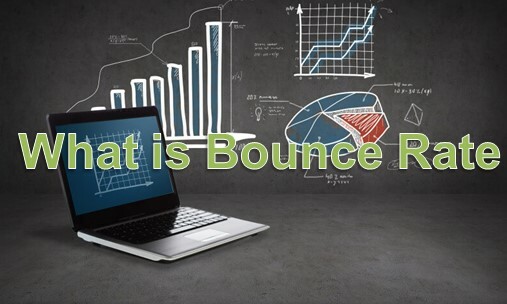 What is Bounce Rate how to reduce including web developers, SEO(Search Engine Optimization), PPC (Pay Per Click), Email marketing, copywriting, and conversion rate optimization.